Hopefully in due time the Madden AMP editor will give access to import and export players from separate roster files making the process of making retro teams easier. I also hope there is some functionality to add new teams to a roster file and have more options to choose from so we can add playable retro teams to a current roster. 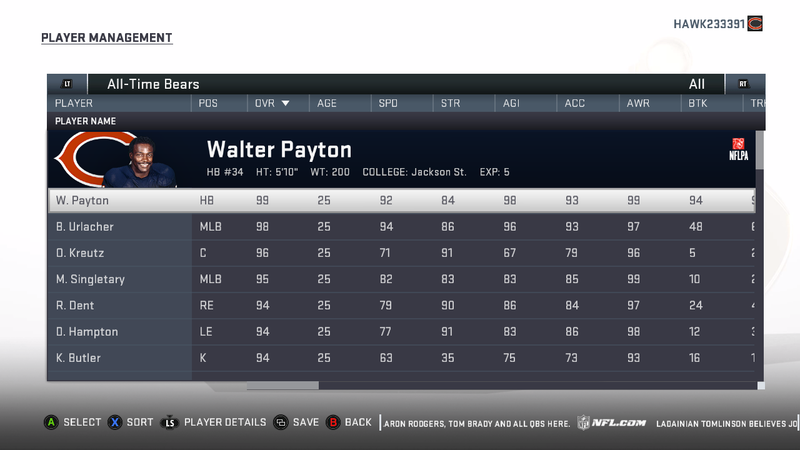 I've created the All-Time Chicago Bears team for Madden 19 on PC starting from the year 1980 through the present. All players have accurate ratings and bio information. I've also added portraits for the players I could find them for. I put together one of my favorite childhood teams... the 1995 Chicago Bears. Oh! The legendary HAWK23, creator of huges NBA 2K14's retro patchs is here. I give you a great welcome! How did you get the generic faces for the 1995 Bears? mauro_rojo wrote: Oh! The legendary HAWK23, creator of huges NBA 2K14's retro patchs is here. I give you a great welcome! Austinmario13 wrote: How did you get the generic faces for the 1995 Bears? So I think I know what you're asking. There are 2 ways to go about it. You can either download the Madden AMP editor which has a field for the faces that you can change. Or, in the game, you can go to MANAGE teams/rosters, then select a player to edit, go to the appearance tab, and then click where it says MODIFY for the face. But how did YOU do it? How did you know what faces were what in Madden Amp? I wanted to report that this weekend I was able to successfully add an entirely new / additional team into a roster file without having to remove a team. This team also popped up in the Manage Rosters screen. This leads me to believe we will be able to add many additional teams to a roster file without overwriting any giving us the ability to build a roster with current teams and adding retro teams all in the same spot. 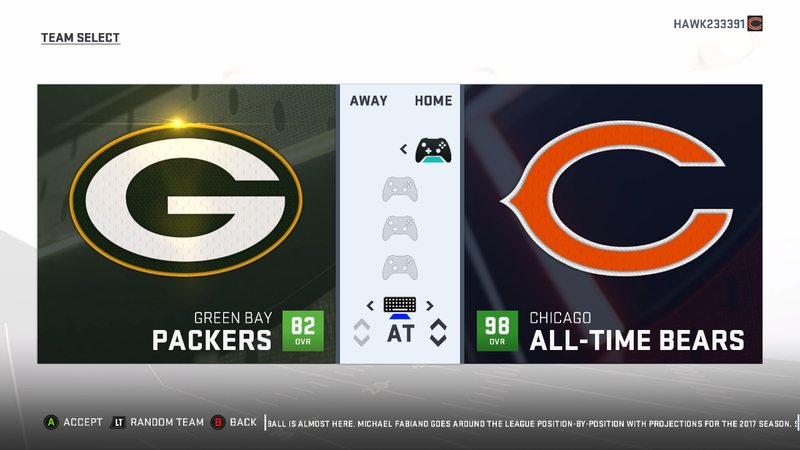 The hiccup I experienced, however, was that for some reason the additional team I imported into the roster was supposed to use characteristics (logos etc) of the Chicago Bears and it ended up using Bengals logos. I'm sure I must have made a minor error that should be able to solve this. I haven't spent much time into looking to fix it, but I was pleased that the team was able to be loaded into the roster and working in the Manage Rosters screen. I'm still learning the Madden Editing tools. Special thanks to StingRay for always answering my PMs!